AB Pension Granada Granada, Hotel Spain. Limited Time Offer! 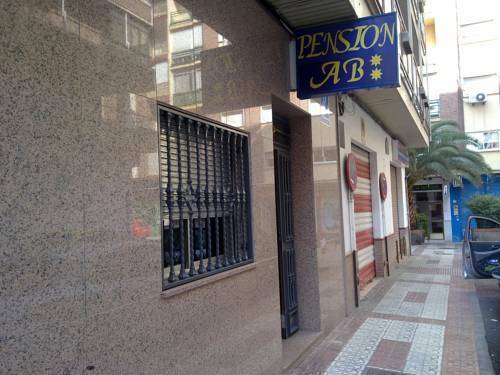 AB Pension Granada. Inn "AB Pension Granada" has received 1 star. The accommodation is an excellent base point from which guests can discover Grenade. This accommodation boasts a total of 15 bedrooms. The bedroom temperature is never unpleasant thanks to the air conditioning. Other services include an airport shuttle and free Internet access. The Pensión AB is located 5 minutes from Granada Cathedral. It offers rooms with a private bathroom and air conditioning, as well as rooms with a shared bathroom. Free Wi-Fi is available throughout.